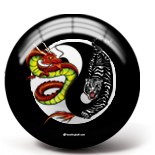 One of the most popular questions we get at bowlingball.com is "Can I get a customized bowling ball?" Well, up until now the answer was no. 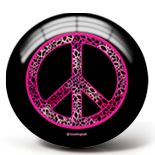 But we are so excited to tell you that YES you can customize your own polyester bowling ball! 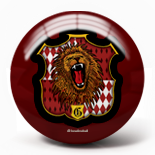 The only limitations are that we do not make clear customized bowling balls, nor can we use a company's private logo, intellectual property, and/or imagery unless the customer first obtains written permission from the given company to do so, and presents the documentation to bowlingball.com. Custom bowling balls make excellent gifts for birthdays, for holidays, or for someone being introduced to the game. While you are shopping, please remember that every item in our extensive product menus has free shipping to accompany our everyday low prices. For $209.99 you can have anything you've ever dreamed of on your bowling ball! Whether it's a picture of your kids, your cat Foofy or an eggplant, you can have it! And as always - Free Shipping! 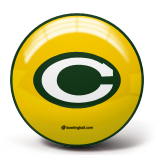 All you have to do is send us a high resolution picture or pictures you would like on the ball, and we will send you back a proof of what the ball will look like. There is a non-refundable fee of $25 for the design of the proofs, but this is included in the total price of the ball when you order. This pays for the designer to create the ball and allows you to make small changes after you receive the first proof. Some examples of small changes include: adding/subtracting text, changing colors, switching fonts, and changing photos. If there are still more changes after the second proof, then additional charges will be applied based on the changes requested. 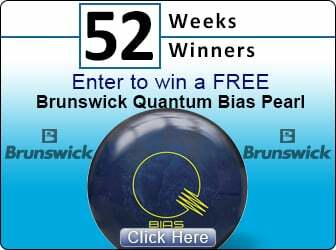 Once you accept the proofs you will have your very own customized polyester bowling ball in just 3-4 weeks! bowlingball.com has become the No. 1 "e-tailer" of choice for bowling equipment by the consumers of America. 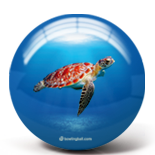 If you'd like to speak with someone regarding what design you'd like on your ball, you can e-mail by Clicking Here or give us a call at 888-265-2695. Thank you for visiting. We look forward to hearing from you!